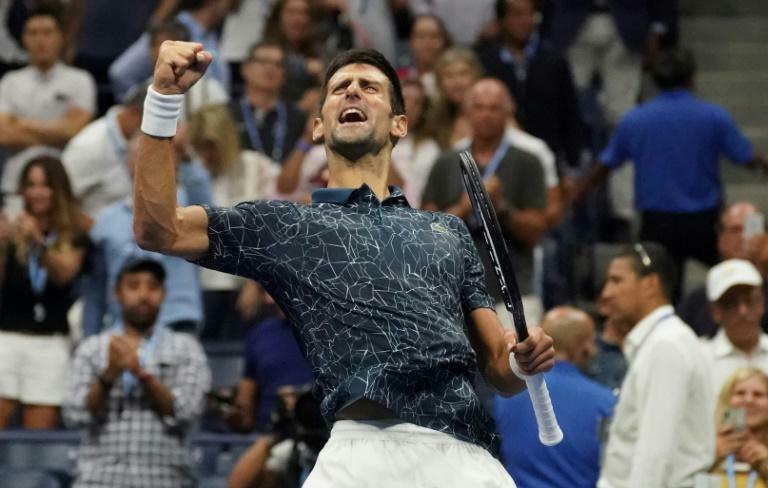 Novak Djokovic can equal Pete Sampras's record of 14 Grand Slam titles when he faces Juan Martin del Potro in Sunday's US Open final where friendship will be put to one side in pursuit of unfinished business. Djokovic is into his eighth final in New York where he was champion in 2011 and 2015. But the 31-year-old Serb has also suffered five heartbreaking defeats in 2007, 2010, 2012, 2013 and 2016. Del Potro won his only Slam at the tournament in 2009, memorably defeating Rafael Nadal and Roger Federer back-to-back to achieve the goal. His career then famously suffered an injury-plagued nosedive which pushed him to the brink of retirement three years ago. For Djokovic, another appearance in the final at Flushing Meadows looked unlikely just three months ago. A quarter-final defeat at Roland Garros, where he had completed the career Grand Slam in 2016, left him in deep despair, threatening even to skip Wimbledon. It was the latest setback to his motivation already dealt bodyblows by an elbow injury which forced him to skip last year's US Open and contributed to a last-16 exit at January's Australian Open. But the man hardened by the NATO bombing of Serbia in 1999 showed his inner steel by confounding everybody by racing to a fourth Wimbledon title in July. Just as at the All England Club, principle rivals Federer and Nadal departed New York earlier than expected, paving the way for Djokovic to eat further into their legacy. After needing two four-setters in the opening two rounds, Djokovic has glided into the final, his 23rd at the Slams. He has dropped serve just five times -- three of those coming in the first two rounds. He also enjoys an impressive head-to-head record over the 29-year-old Del Potro, winning 14 of their 18 matches. That includes all four meetings at the Slams. "He's a gentle giant," said Djokovic of his giant Argentine opponent. "He nurtures the right values in life. He cares about his family. He cares about his friends. He respects everyone. "He fights every match from the first to the last point. He treats others the way he wants others to treat him. I think that's why people love him." When he swept to the 2009 title in New York, he was just 20 years old and expected to establish himself as a permanent rival to Djokovic, Federer and Nadal. But as those three carved up the Slams between them -- 50 in total -- Del Potro spent more time on the operating table than on the courts. Three wrist surgeries caused him to miss 10 Grand Slam events and by the end of 2015, his world ranking had plummeted to 581. "The worst moment was in 2015 when I was close to quitting because I couldn't find a way to fix my wrist problems," he said. "I was suffering a lot. I got depressed for a couple of months also." 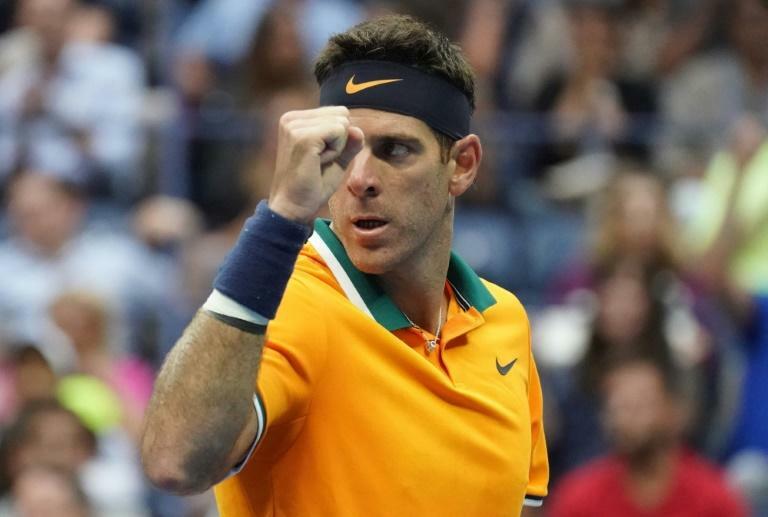 This year, Del Potro has lurked as a major threat, beating Federer for the Indian Wells Masters title and making the semi-finals at Roland Garros and last-eight at Wimbledon. "I didn't expect to get this kind of emotions playing tennis again. Reaching finals, winning titles, having my highest ranking ever in this moment, everything is almost perfect," he said.